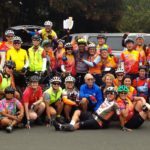 Come join us and ride with one of the friendliest bike clubs in the Bay Area. Come join us on one of the premiere supported rides in the Bay Area covering the East Bay’s most scenic roads. Registration opens December 1st! The FFBC Cinderella Training Series is an 11 week training program hosted by the Fremont Freewheelers Bicycle Club (FFBC). The purpose of the training is to help women learn to cycle comfortably in a group setting, and develop the skills necessary to successfully complete a 100K (62 mile) ride. We offer weekly and monthly rides on all types of terrain for all types of riders. Come join us for our “Get To Know Us Ride” on the second Sunday of each month, or our “First Saturday of the Month” Calaveras Ride. Check out our Ride Calendar for daily rides. 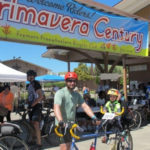 Ride our Primavera Century for an amazing day of riding. Or join our Cinderella Training rides, or Progressive Ride Series to improve your skills and your endurance. And for fun, come out for our pizza or beer rides.